2018 Dragon Boat Race Day - RESULTS! 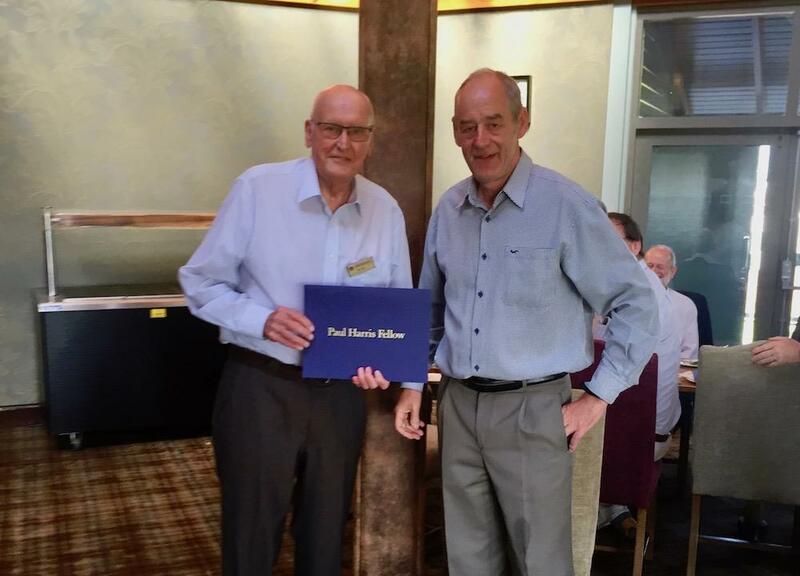 At the last meeting chaired by President Steve Davenhill before he had over the presidency to Paul Simpson at the end of June, Steve was delighted to present Rotary Becket member Ian Hill with a Paul Harris Fellowship. Ian became a Rotarian in 1986 joining Boksburg Lake Rotary Club South Africa some 2 years before Rotary Becket was formed. On returning to the UK in the 1990’s he joined the Rotary Club of Hoddesdon. He continued after his presidency serving as International Chairman in 2006 to 2009 when he briefly left the Club as a member returning in 2014 as an Associate Members and returning to full membership in 2015. Since returning as full member of Rotary Becket he has been active in many International Projects and more recently as Foundation Officer has been tireless in pursuing both District Grants and Global Grants for project around in Africaa. What is Paul Harris Fellowship? The Paul Harris Fellowship Award is one of the highest honours Rotary can bestow upon a person. Recipients are Rotarians and community professionals, in recognition of their outstanding contributions, exemplifying the highest ideal in Rotary in placing “SERVICE ABOVE SELF.” This honour accompanies a donation of $1,000 or more, in the recipient’s name, to Rotary International’s “Annual Program Fund,” which supports Rotary’s world-wide programs.